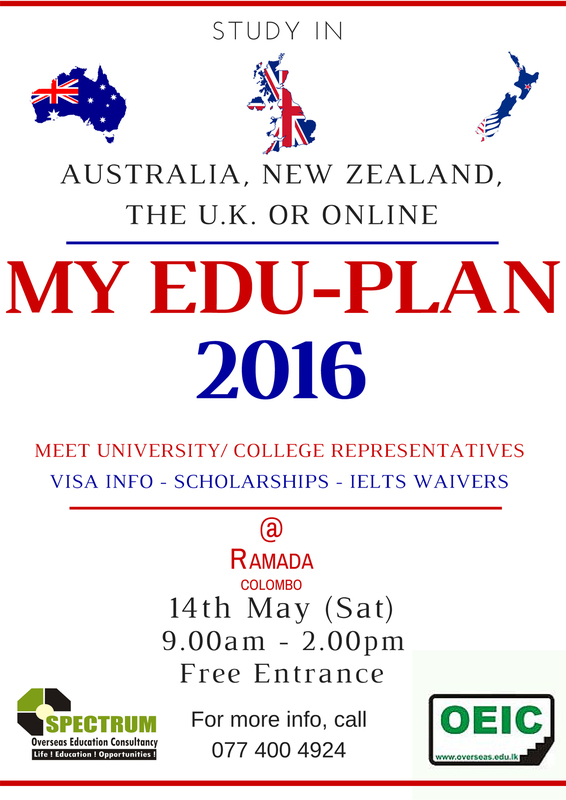 ''MY EDU - PLAN 2016'' Planning To Study In Australia,New Zealand,UK in 2016? Step into 'MY EDU - PLAN 2016'' Organized By OEIC & Spectrum Consultancy Services. Free Entrance Date : 14th May 2016 Venue: Hotel Ramada Time: 9.00am to 2.00pm Call 0774004924 For More Details Meet Professionals And Plan Your Future Education Pathways. Visit & Build Your Future With Us!! !